For restructuring professionals, guarding the reputation of a firm they are steering towards recovery is of the utmost importance. County Court Judgments, or CCJs, represent a significant risk to a company’s good name and to that of its directors. When a company or individual fails to pay a debt, the creditor can seek a court order or CCJ seeking repayment. Outstanding CCJs can flag a company as high risk, and so adversely affect their treatment and terms of trade. Banks may be dissuaded from making loans or may increase rates of interest. Trading partners may demand payment on delivery which can adversely affect cash flow. Registry Trust operates the Register of Judgments, Orders and Fines, which includes CCJs; this information is available online at www.trustonline.org.uk where it can be searched for a small fee. CCJ records from this register are also collected and collated by credit specialists, including Encompass’ data provider partner, Creditsafe. Restructuring and insolvency professionals are finding innovative ways of protecting their clients’ reputations by monitoring the status of CCJs from information sourced from Creditsafe’s Company Credit Report with Encompass. For several years Chris Jones, partner at gunnercooke has been working in his role as a restructuring specialist with a company forced to endure difficult trading conditions resulting in a number of creditors seeking CCJs. To maintain its reputation for prompt payment with suppliers and other creditors, it pays the amount in full immediately so that CCJs are not recorded against it. To ensure that his client’s reputation is upheld, Chris regularly checks the Register of Judgments, Orders and Fines to ensure that CCJs that have been paid are cleared from the register. With Encompass Verify for law, Chris has found a way to streamline this process. As he explains: “I create a chart displaying my client company and all CCJs issued against it. 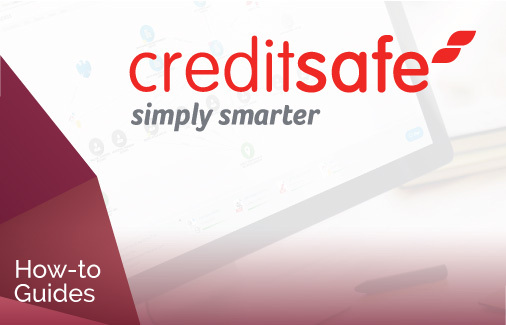 Then once a week with a single click the software immediately updates my chart with the latest information from the Register – this is made available from the Company Credit report supplied by Creditsafe. Encompass Verify flags automatically any changes since I previously researched my client’s CCJ status. Using the product’s refresh function provides a good, cost effective way of staying current with my client’s situation”. Another specialist in corporate restructuring recently told me how he is using Creditsafe’s Company Credit report with Encompass to guard the reputation of his clients. “I use Encompass Verify to search and monitor public information about my clients. If a company with a similar name to one of my clients is being threatened with CCJs I can find this information very easily and then work with my client to protect their reputation. Automated search helps me do this. I can use this technology to be highly proactive in the service I offer and so build trust with clients”. The management of CCJs is a perfect example of how Encompass products fit within and enhance your existing workflow to deliver real value for your clients. 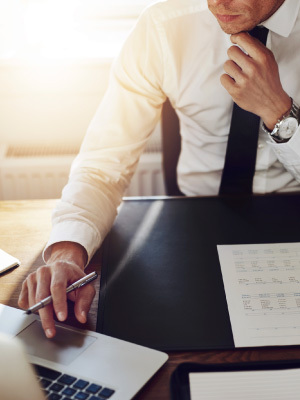 By taking advantage of a workspace that displays reports from multiple data sources, and enables you to easily refresh and pull in any potential new information to your case, insolvency practitioners can save and easily keep on top of their cases. 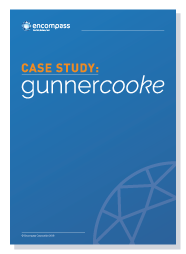 We recently sat down with Chris Jones to learn more about gunnercooke’s approach to delivering client value through their open attitude towards using technology. You can read the case study here. 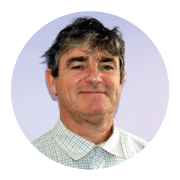 As a product marketing professional, Mike Kearney specialises in technologies that deliver business innovation by managing, analysing and presenting information. Mike’s career spans working in Australia, Europe and USA with experience in financial services, telecommunications, energy, pharmaceuticals, electronics and the public sector, and with vendors including Netezza, Oracle, Vignette, BMC Software, and IBM.